LOS ANGELES -- Erik Bauersfeld, who turned three words from a minor acting role - "It's a trap!" - into one of the most beloved lines of the "Star Wars" series, has died. His manager, Derek Maki, says the performer died Sunday at his home in Berkeley, California, at the age of 93. Bauersfeld stayed in radio for much of his life. He stumbled into the "Star Wars" series while working on a radio project at Lucasfilm. Bauersfeld ended up voicing the roles of both the rebellion's Admiral Ackbar and Jabba the Hut's ghostly steward Bib Fortuna in 1983's "Return of the Jedi." 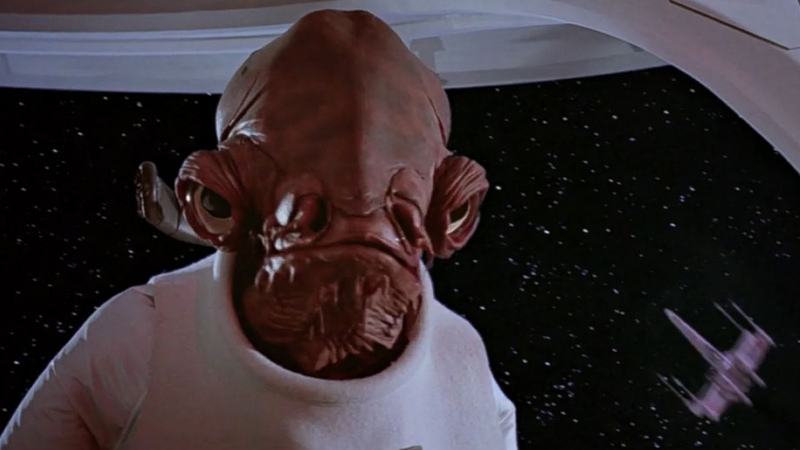 Admiral Ackbar also appeared in "The Force Awakens." Despite limited screen time, the character with a large domed head and fish-like eyes was a definite "Star Wars" fan favorite. His line "It's a trap!" even became a popular meme.